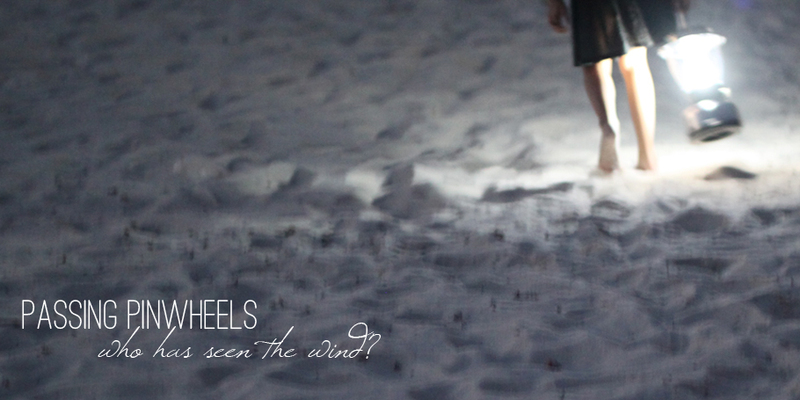 Passing Pinwheels: A Fun First Post of the Year! Woohoo! First post of 2012. I really ought to do the retrospective of 2011 I planned. Or tell you guys what some of our plans for this year are...but you know what? I am going to do a fun post instead! :D Can I show off some of our Christmas house decor? It's kind of sad taking it down so I want to relive it one last time! Oh, but first, here are my curtains! I might have been a little ambitious with these because with the home dec fabric, blackout fabric, and just yardage involved, these were ridiculously hard to feed through my machine. Especially since I'm sewing on a folding table that shakes like mad when I'm sewing at any speed other than "turtle." But, it's better than having to do it on the kitchen table and putting the machine away at every mealtime so I'm not complaining! This is kind of a before and after...we had blackout shades on the windows from when we moved in until mid-December. I like having curtains so much that I want to do them for all the windows that have the blackouts on them! And Mike's office which faces the street and has nothing up! And to get an idea of the color, here is Autumn with her cousin who looks oddly like her in this photo. I also made some pillow covers to brighten up the sofa and pull the colors around more. I don't have a good photo of that so when I do (and when I finish the other two pillow covers), I'll post that and a better picture of the playroom. I did another project to make the blue less random in the room. The idea came from a blog post on Real Simple. I started with this mirror I got for 99 cents at a Salvation Army store in Bartlett. I painted the frame blue and used chalkboard paint on the mirror part. I've been wanting to do a chalkboard for our living room for some time so it was kind of good to have a trial run on something a little less "nice" than that one will need to be. I got some other frames for $1-$2 each at the same store and painted them, too. We, of course, had to have a photo session with some of Autumn's toys. The idea is to put the binder clips on a nail inside the empty frames so that I can display Autumn's artwork before it either gets thrown out or put in her preschool art file. I love the idea of being able to easily switch her art in and out. Costco does great poster prints so I took a couple photos from our last session with Elizabeth Wiggs, blew them up and popped them into these frames I already had. Autumn actually got a good photo with Santa! Woohoo! And we had a great time decorating our first gingerbread house together. Next year we'll do better since we know what to do! The rest of the house I can't take much credit for. I did that project for Cheri before Christmas so she came out and put up my decorations for me. And I TOTALLY just realized I didn't take a picture of the tree. I will do that before it gets taken apart. Anyway, living room! No ceiling. No walls. Then it got those. We did get it painted and decorated but we had no furniture except for a table. And then Mike's brother brad came to the rescue! He was doing some cleaning out and told us we could have his furniture. So, for half the price of a U-Haul, we have a sofa, love seat, and ottoman! Seriously, the only thing that had been in there were the built in bookcases and this table, which currently houses the nativity. I mean, the fireplace and the stockings looked pretty before Brad brought his stuff but, man, does it look fantastic all together! Cheri's so good at what she does...can you believe she made that wreath out of an old, raggedy wreath I had, some floral mesh, and a box of $1.99 ornaments from walmart?? Craziness. Anyway, moving on...I like how she did the dining room. It's very elegant. And, again, mostly out of random stuff I just had around. We had our New Year's Day brunch and here it is with all the food. Well, most of it. And a coloring book. The party is why all the dining room chairs and folding chairs are in the living room in the photos above. At the last minute, I made a menu. I'll probably do the same next year but fix it up a little more. And print it at work where I have a color printer. I also made instructions for the k-cup coffee maker Penny gave me. She got a new one for Christmas which was pretty cool considering I had just asked her if I could borrow hers for the party. It made it soooo much easier to have coffee and tea that way than having to deal with pots and hot water and all that. The ever-present chocolate fountain. Mike's mom and dad got one for Mike as a joke several years ago. He saw it at Costco and ranted a while on how silly it is to have one so of course they had to go out and get it for him. And here we are now...if we don't have it at a party, we hear about it!! The breakfast room table is another place I need to take a good photo before I take it apart. :D I hope Liz doesn't mind me using her picture...you can see the ornaments on the chandelier, I thought that was pretty fun. The china cabinet cracks me up. Everyone who walks in kind of blinks and goes, "that's very...festive." Haha! I love it, though. 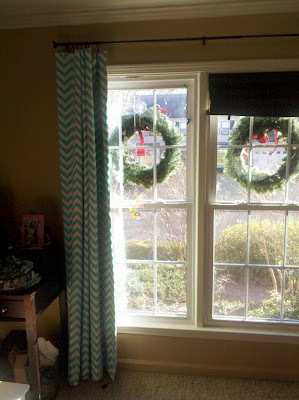 I'd never think of using giant candy canes but it's so perfect! And, I have been driving Lainey crazy. For the last 10 years, since the Christmas Mike and I got engaged, she has wanted to get me Christmas china. But I never could find any I really liked! But then she came across this set from Pier 1 and I loved it. :) You can guess what I got for Christmas this year...I think she feels better now. And that's it! My Christmas decor retrospective. And, of course, I thought of yet another thing I didn't get a photo of! The outside of the house. Next year I plan on doing a much better job. This year all the wreaths were crazy because I can't hang things worth anything. But P'd told me the trick he learned so I'm going to do that. I think we're also going to be brave and do something more than just the lighted garland on the balcony. We'll see!! ps: P'd needs special mention! He hung up the curtain rods in the playroom and the living room, shelves in the playroom closet, my wall display, Autumn's bathroom mirror AND the towel rod in our bathroom as part of our big get ready for Christmas rush! It's crazy--he doesn't even use a level!